Instructional system design arose out of the 50-60's as educational technology development paralleled and modeled the systems approach processes emerging within the military and industrial worlds. The traditional approach to education was viewed mostly as piecemeal. ISD attempted to integrate all the components of the instructional process into an effective and efficient system. This was accomplished by developing instructional systems with flow charts and lists of steps to be followed. The term task analysis was used by the Air Force in the early 1950s to refer to procedures for anticipating the job requirements of new equipment under development. Note that ISD is sometimes referred to as System Approach to Training (SAT). 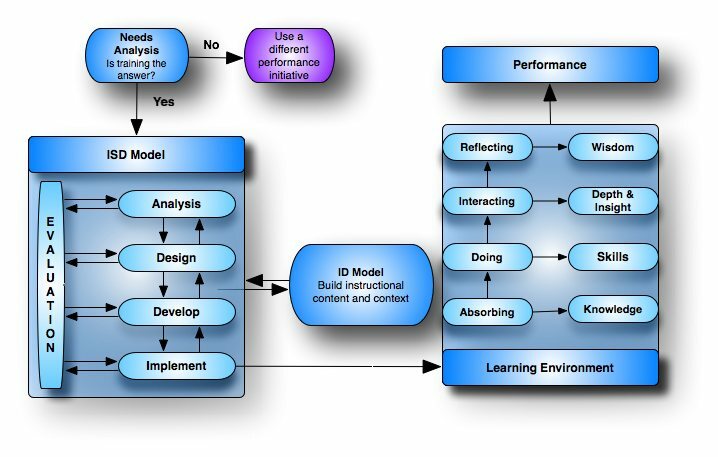 For more history on the ISD model, see A Brief History of Instructional System Design. 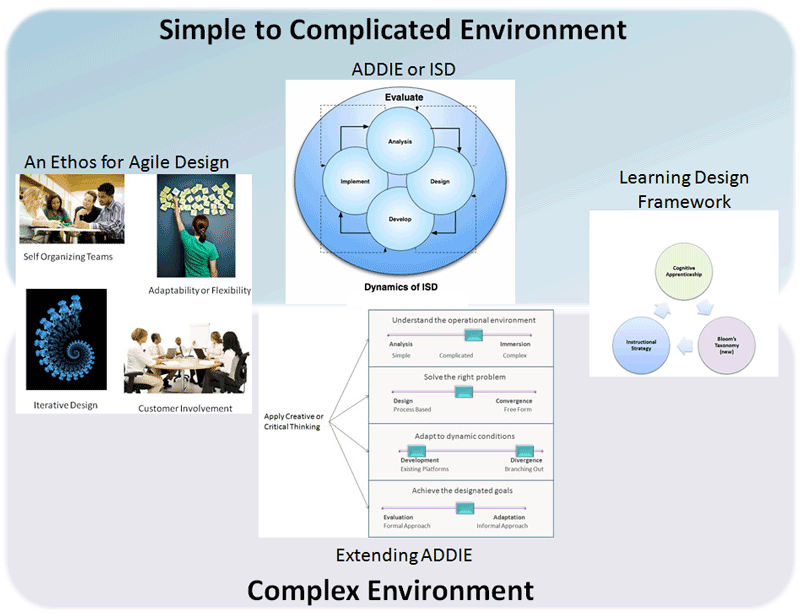 For a guide on ISD, see the Instructional System Design Manual.